Doesn't Everyone Want the Latest Technology? Videotape has given way to Blu-ray Disc. Cassette tapes are now CD's. Tube television sets are now the better plasma television. Pagers have become cellular phones. Technology and equipment always evolve. so we extract the teeth only when absolutely necessary. Just as a building must have a solid foundation of reinforced concrete, fighting tooth decay is vital to oral health. The preparation of the this clinic for doing state-of-the-art treatment is thorough. 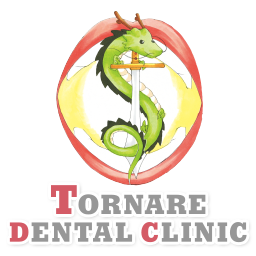 We give priority to the treatment of the root and the treatment of gums. Do you think talking care your mouth is being vain? In the mouth, teeth are always exposed to the threat of the acid and bacteria, which targets the "foundation" which is the most important, even if very beautiful teeth are put there. The house constructed with reinforced concrete is safer than the house built of straw. Experienced dentists are important, but they need to be well equipped for their expertise to shine through. Our main enemy is bacteria. Our state-of-the-art weapons include three models of lasers and high frequency, whitening, Celleck 3D®, etc. Please look in doctor's eyes. Please hear hygienist's voice. Please see the smile of the acceptance on the assistant's face. They understand your pain. When the pain is gone, everybody will cheer. Is the dentist's office scary? It is impossible. I will change the image 100%. The dentist's office is a pleasant, Happy place to be. Our team always has room for you. Everyone enjoys helping people. We have pride that the best treatment is being offered. We strive for this every day. This drives us to be kind to our patients. We are not trying the exaggerate this, but we want to fill the world with love and peace. Health is important for that. Improved eating habits are necessary for good health. We will do our best to keep people healthy and looking young.